Spritzr is the world’s first matchmaking app! Singles find quality dates recommended by their friends or other matchmakers. Those in a relationship have fun playing matchmaker and helping their friends meet that special someone. Earn karma points or find your perfect match on Spritzr! Spritzr is the quickest way to find quality dates. 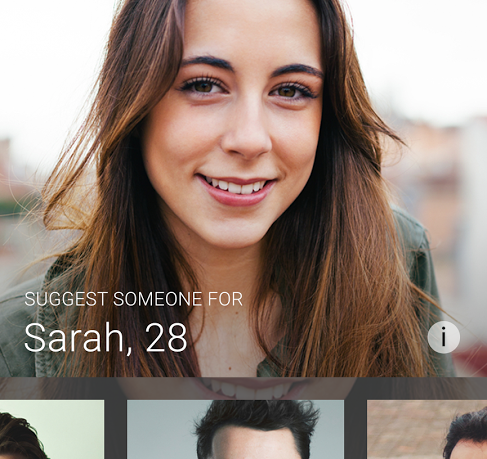 Instead of swiping through millions of randos, you get handpicked quality matches. And because you’ve got friends or interests in common, you don’t need to worry about how to break the ice. Dating has never been better. Spritzr takes the awkwardness out of matchmaking by making it super easy to set up your friends. Anonymously play matchmaker with the Spritzer Community. And as a Matchmaker, everybody will know you’re off the market – so don’t hide it, invite your partner to play matchmaker as well! Spritzr starts with an easy sign-in to Facebook. There is no other option for creating a Spritzr account, so a Facebook account is pretty much a requirement for this app. Next is where Spritzr really differs from a lot of other dating apps. After signing in to Facebook you will be asked to choose your path; In a Relationship or Single. If you answer Single, you are able to setup your profile and look for matches as usual. If you choose In a Relationship, you are labeled a matchmaker in the app and can suggest matches for your single friends and others in the Spritzr Community. Once the choice is made and profile setup, you are able to invite friends from Facebook and contacts to join Spritzr. Then peruse the community and friends to start making matches. Single users should fill out their profile with what they are looking for and provide a zip code for the location to search. The standard areas can be filled out for the dating profile including about, gender, interested in and physical description. Public information and pictures from the Facebook profile will automatically carry over into the new Spritzr page and can be edited. One thing to mention is if you join Spritzr as a matchmaker and end up single later, or vice versa, you can change your profile in the settings to the other profile type. 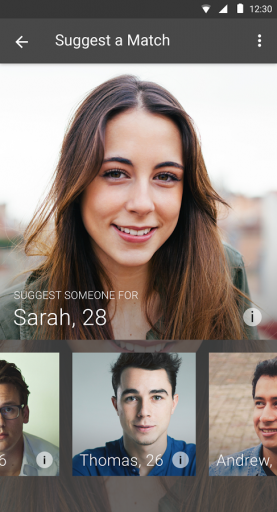 Spritzr – Play Matchmaker is a much different dating app than I have ever encountered before. I love the idea of inviting friends to join to get another opinion on potential mates, plus who better than from people you know. The app is very easy to use and walks you right through the setup. I love how the interface flows and needs no tutorial, it is designed that well. Great for anyone looking for that special someone, and those who just want to help fate along, Spritzr has dating service standard. The app is now available now for free in the Google Play store, and can also be found on iOS in the App Store here.